M.C. 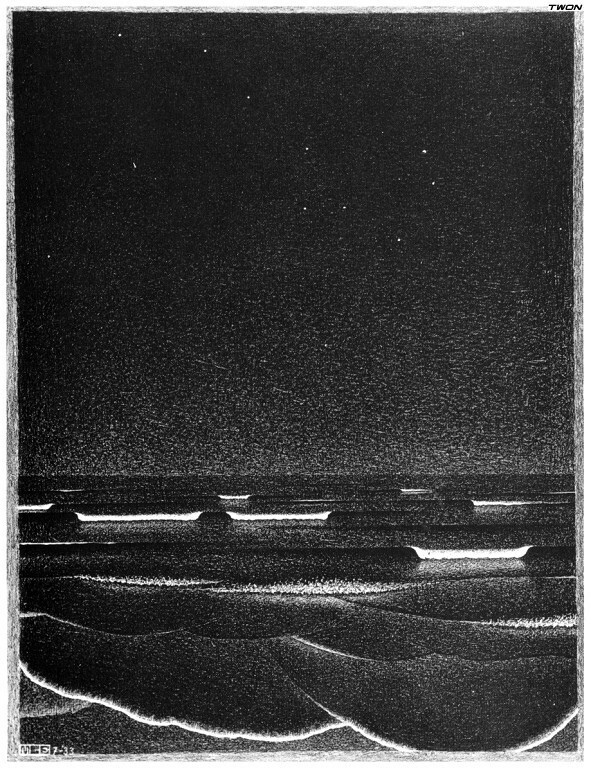 Escher’s Phosphorescent Sea (1933) is possibly the most beautiful picture of waves I have seen. It is possible that I like it so much because I am familiar with Escher’s work, so I expect optical illusions, allusions to the impossible, interplay between background and foreground, and playfulness from a mathematical perspective. The Phosphorescent Sea has none of this obvious trickery. I admit that it is possibly my own imagination that applies what I expect from Escher to this picture, but let me share it with you anyhow. Many of Escher’s works depict numerous layers. 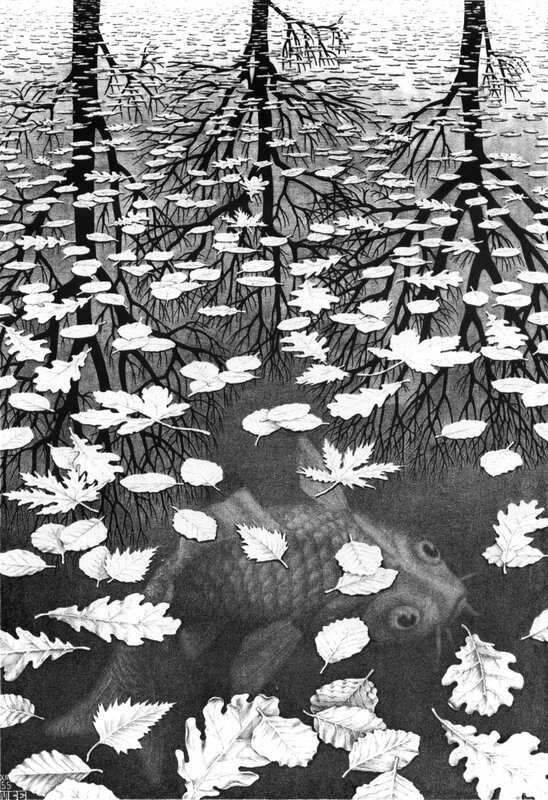 For example, the Three Worlds (1955), shows what lies beneath, on, and reflected in, the water. In the same way, when I look at the Phosphorescent Sea, I get a strong sense of layers of space. Here each layer also corresponds to a different order of dimensionality. The stars seem indescribably distant in time and space (4D); the sea seems unfathomably deep (3D). Yet the waves in the foreground are just thin films (2D) of water running up on the beach, reflecting the stars above. When I look at this picture I get the same overwhelming sense of wonder for the world we live in as I get from being alone on a beach on a starlit night.